I still get a lot of press releases, newsletters and announcements of upcoming books, but I don’t usually post about them. Maybe I should, especially when I find them interesting, like now. 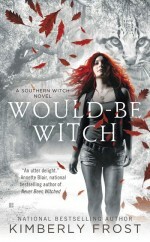 A few years back I reviewed Would-Be Witch by Kimberley Frost, and the sequel, Barely Bewitched. The author went dark for a while, but she has apparently been busy. Another book, Halfway Hexed, came out without my noticing. And now, the publisher is re-releasing the entire series as mass-market paperbacks, along with the fourth book Slightly Spellbound They are coming out over the next two years. 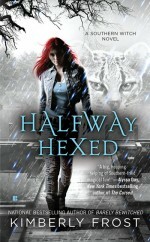 I don’t have to like Urban Fantasy to absolutely LOVE those covers. And looking back at your review, these far far exceed the original ones. I like both sets of covers. Nice use of white. I would not call these urban fantasies, however. Maybe suburban fantasy? Small town fantasy? 🙂 I am intrigued enough by Halfway Hexed that my buy finger is twitching even though it is, for now, still at the trade paperback prices. Same here, Anne. 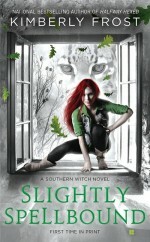 I’ve enjoyed some urban fantasies, but almost all the urban fantasy series that I read are ones in which I have some connection to the author. So I don’t think it is a natural fit for me. But like I said above, I would not classify these as urban fantasy, even though the covers may seem to contradict me. Ooh, those are nice. And I’ve been kind of using “contemporary fantasy” for fantasy that’s set in the modern world, but not necessarily in an urban environment. Contemporary fantasy works as well. 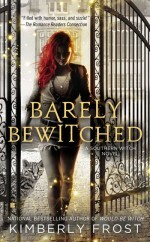 It could also technically be paranormal romance, except the romance part is not yet clear. Seems to me like the definitions keep changing. Alot of what is being called “Epic Fantasy” by my definition is Sword and Sorcery, or Heroic Fantasy, or High Fantasy, or Alternate History or even Military Fantasy. Now it all falls under the umbrella term of “Epic”. Usually I have no idea what I am reading until after I’ve read it and sometimes I’m not sure even then. Yeah, and “high fantasy” does not even seem to exist before. Or I never really understood the subgenre in the first place (likely).